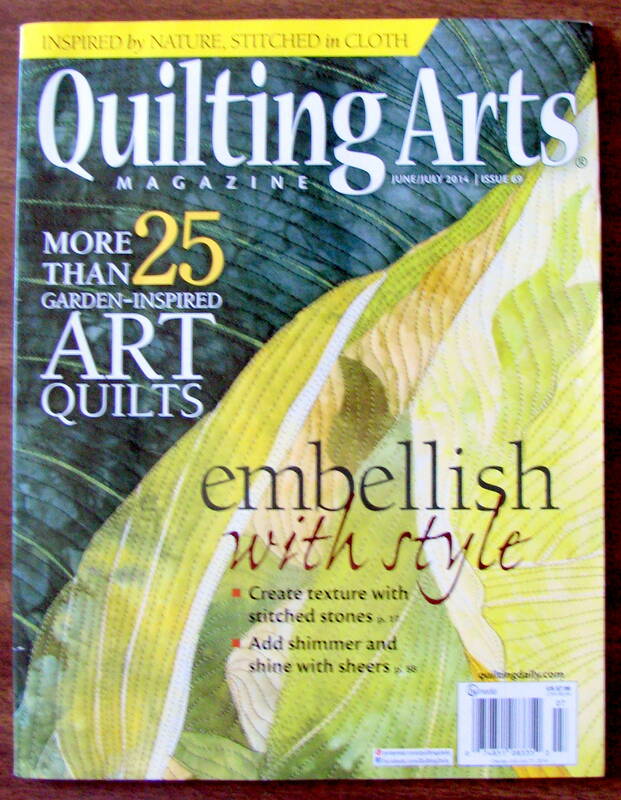 Quilting Arts Magazine ran a Reader’s Challenge: Come up with a quilt that fits the theme “In the Garden”. There were more than 150 submissions and 12 “winners”. 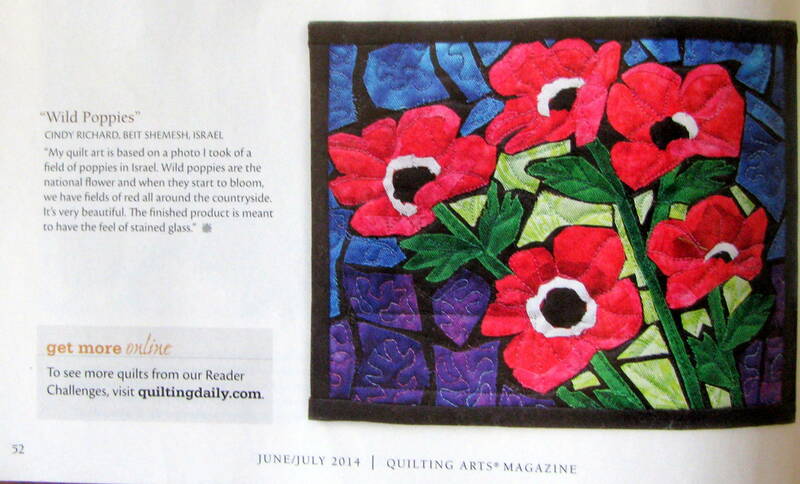 My quilt, “Wild Poppies” made the cut and appears in the June-July 2014 issue of Quilting Arts Magazine. I based Wild Poppies on the fields of poppies that bloom every spring in Israel. Poppies are the national flower and when they start to bloom the fields are carpeted in red around the countryside. It’s an exquisite site! The technique used for this piece is “stained glass”. The fabrics and batting are all cotton with a layer of tulle on top. Free motion quilted with cotton thread. 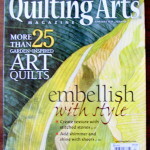 Below is a photo of the quilt in print and the cover of the magazine. 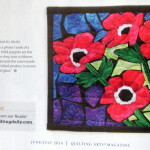 To see more of the works and the magazine, visit Quilting Arts Magazine. Mazel Tov, Cindy! I have the magazine, but haven’t gotten to that page yet, so didn’t know. 🙂 Gotta check it out!